North Korea has attempted to mine Bitcoin (BTC), Yonhap News reported Aug. 27, citing a report compiled by a research unit from South Korea’s state-run Korea Development Bank (KDB). Yonhap notes that the mining attempt – which was allegedly conducted “on a small scale” between May and July 2017 – appears to have been unsuccessful, although the reasons for this remain unclear. 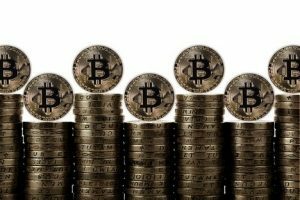 According to Yonhap, the KDB report claims North Korea’s interest resides in the essential “characteristics of cryptocurrencies, including anonymity, difficulties of tracing money and cashability.” KDB’s research unit has reportedly moreover claimed that a North Korean tech firm, Chosun Expo, is in the process of developing a Bitcoin crypto exchange, although no further details are given. Germany: Germany’s joint stock company Deutsche Boerse (DB) has furthered its partnership with blockchain-based liquidity provider HQLAx, making a million euro investment to become a minority shareholder, a press release announces Tuesday, Aug. 28. Deutsche Boerse AG is a German marketplace organizer and transaction services provider which had as much as €3.695 billion ($4.327 billion) in total equity as of 2015. The two parties, which originally partnered in March to produce a blockchain-based securities lending platform using R3 Consortium’s Corda technology, said the move allowed them to expand their activities in the field. Meanwhile, Iconiq Funds, the asset management arm of Germany-based Iconiq Holding — the team behind the ICO and token sale accelerator program Iconiq Lab — is launching a series of digital asset index funds beginning in Q4 2018, the company announced on Aug. 17, 2018. Investment into crypto assets will become available through traditional and regulated financial vehicles, such as exchange-traded funds (ETFs) and exchange-traded notes (ETNs). Lloyd’s of London the centuries-old insurance marketplace, is quietly providing cover against the theft of cryptocurrencies. Announced Tuesday, Kingdom Trust, a qualified custodian of some 30 cryptocurrencies and tokens, is enhancing its safe-keeping services with insurance cover for theft and loss due to natural disaster, courtesy of underwriters in the Lloyd’s market. Kingdom Trust, which came close to being purchased this year by BitGo, is a qualified custodian, which means it guards the private keys of troves of cryptocurrencies to a standard deemed acceptable to regulated financial institutions. Venezuelan banks have been ordered to use the petro, the Maduro government-launched cryptocurrency, as a unit of account. Wire services AFP reported Tuesday that “all financial information” must be denominated in both the bolivar – Venezuela’s official currency – as well as the petro, which was controversially unveiled in December. Maduro’s government has claimed, without evidence, to have raised billions of dollars during a presale earlier this year, despite pushback from opposition leaders in the country as well as international critics, including the U.S. government. Associated Press (AP) is partnering with blockchain journalism startup Civil to license articles for, Digiday reported Tuesday. Civil Media Company is planning to license the AP’s content to its various newsrooms as one aspect of the deal, according to the report. Another aspect will see AP and Civil collaborating to track Civil newsrooms’ original content and enable more effective licensing for the blockchain startup. Civil founder and CEO Matthew Iles told Digiday that the partnership was aimed at ensuring content creators receive credit – both in name and compensation – for the works they produce. US: The North American Securities Administrators Association (NASAA) announced that there are “more than 200 active investigations” by state or provincial-level agencies into initial coin offerings (ICOs) and other crypto-related investment products. NASAA, composed of securities regulators from the U.S., Canada, Puerto Rico, the U.S. Virgin Islands and Mexico, said in a press release Tuesday that its ongoing Operation Cryptosweep has now expanded to 200 investigations in the U.S. and Canada, and has already resulted in 47 different enforcement actions over the past few months. Violations found to date range from securities fraud to startups failing to properly register their products prior to offering access to investors. Bitcoin $7086.26 USD (1.65 percent): Bitcoin’s hash rate just hit 62 quintillion, a new record. 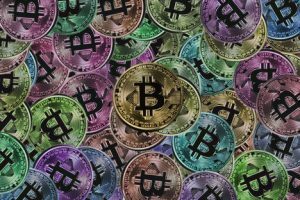 That brings the total gain in August alone to more than 50 percent – a sign that the network is thriving and the number of Bitcoin miners is growing. This increase in hash rate can be attributed to the entry of new miners into the market who are unperturbed of the staggering prices. 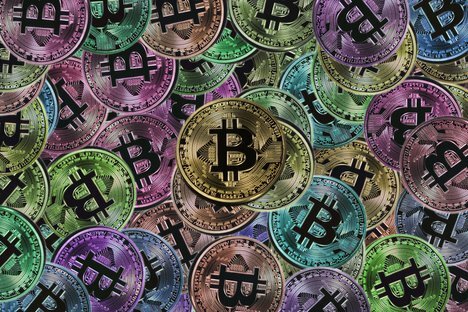 Though over the time the connection of hash rate and bitcoin price has been severed unlike when bitcoin first came into the market, experts do find a connection. According to Max Keiser, the financial analyst, former wall street trader, and crypto expert, price follows hash rate and he firmly believes a new all-time high (ATH) is coming. Tron $0.026672 USD (4.81 percent): When BitTorrent sold to the founder of controversial crypto startup Tron, it wasn’t just one of web 2.0’s earliest and most prestigious startups that changed hands. It turns out, the peer-to-peer sharing company now owned by Tron founder Justin Sun also took a small stake in Chia Network, a soon-to-be-launched cryptocurrency protocol helmed by BitTorrent co-founder Bram Cohen, a fact that was not been previously disclosed by either firm. According to documents obtained by CoinDesk, Sun submitted his winning acquisition offer to the BitTorrent Board on February 14. The next day, the board unanimously approved an agreement with Cohen granting a “full release” of some of its intellectual property (IP) in exchange for the right to make a $50,000 investment in the company under a Simple Agreement for Future Equity (SAFE). Ethereum $294.28 USD (2.64 percent): Moscow’s government is planning to use ethereum as part of a system for allotting trading spots during weekend farmers markets. The system will record applications submitted by farmers, who compete for a limited number of commercial plots. Some 15,000 trading spots are up for grabs, with the market season stretching between April 20 and Nov. 25 and farmers coming in from Russia, Armenia, Belarus, Kazakhstan and Kyrgyzstan. As might be expected, there’s a push to get a spot, with some 20,000 applicants submitting their bids each year. The idea is to use ethereum as a way to create an immutable record of applications, with updates made for those who are either approved or denied access, according to Andrey Borodyonkov, who serves as the blockchain product manager for Moscow City Hall. Filecoin $4.69 USD (-5.22 percent) is planning to officially launch its blockchain-based data storage network sometime near the middle of next year. In a first-and-second quarter update posted on Tuesday, the Filecoin team unveiled an in-progress roadmap stretching into 2019 and beyond, with milestones including this week’s release of demos for the go-filecoin protocol implementation, a plan to make the GitHub repositories for the implementation public, and, most notably, the launch of the Filecoin mainnet after an initial test phase. On the plan to open up the repositories, the Filecoin team encouraged developers to take part in the process once it begins. Dash $196.55 USD (6.65 percent) is currently experiencing a strong price surge, rising about 20 percent in the space of 24 hours as news coming out of Venezuela indicates that it is experiencing a solid increase in adoption by users fleeing the bolivar’s six-figure inflation rate. From a Venezuelan point of view, where bitcoin and other coins fall short compared to dash is the period of time required to confirm a transaction. Dash offers even speedier confirmation than Bitcoin, averaging two and a half minutes by virtue of its masternode network which allows it to offer an Instant Send service. For Venezuelans without access to a reliable fiat currency, this is as close as it is currently possible to get to a ‘regular’ transaction when carrying out regular everyday activities like shopping or paying for meals.Dash has taken full advantage of the situation, reportedly signing up an average of 200 vendors a month including brands like Subway and Calvin Klein.